The New Brunswick Fitness Courts are NOW OPEN! Sometimes one just isn't enough! 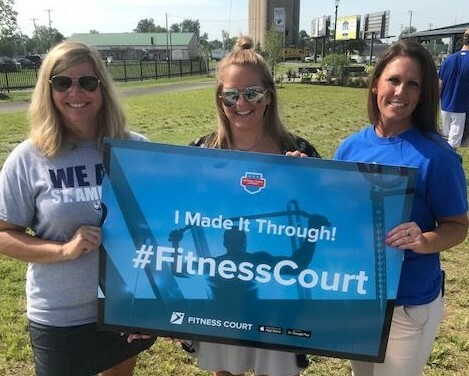 The City of New Brunswick has become the first city in the Tri-State Area to join the 2018 Campaign and bring free fitness to their community – with not one, but two Fitness Courts! The decision to install this state-of-the-art outdoor infrastructure is part of the City’s dedication to the renewal and rejuvenation of its parks system, creating more public amenities and resources for the betterment of all residents. "We are very excited to welcome these new Fitness Courts as resources to help our residents stay healthy and enhance the offerings of our City parks system," said Jennifer Bradshaw, Spokesperson for the City of New Brunswick. The New Brunswick Fitness Courts can be found in two of the city’s premier destinations for outdoor recreation — Alice Jennings Archibald Park and Buccleuch Park. Centrally located within Alice Jennings Archibald Park, users can enjoy a game of tennis or a stroll along the park’s walking path before a Fitness Court workout. In Buccleuch Park, residents have access to 78 acres of outdoor amenities and attractions including a gazebo, children’s playground, the historic Buccleuch Mansion and now, the world’s best outdoor gym experience! THANK YOU NEW BRUNSWICK FOR PUTTING FREE FITNESS ON THE MAP! The Waite Park Fitness Court is NOW OPEN! 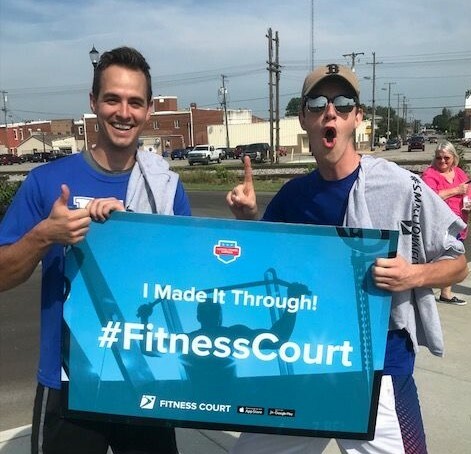 The first community in Minnesota has joined the 2018 National Fitness Campaign! 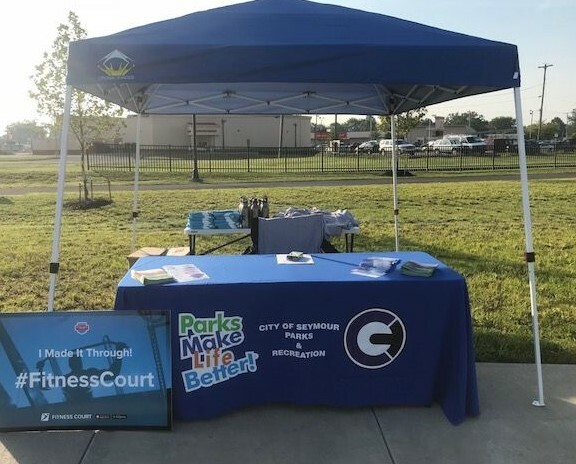 In the City of Waite Park, city leaders are thrilled to offer free and accessible wellness for everyone with their activation of a brand new Fitness Court® outdoor gym. Over the last eight months, city officials have ramped up their efforts to promote the importance of healthy living and outdoor infrastructure. 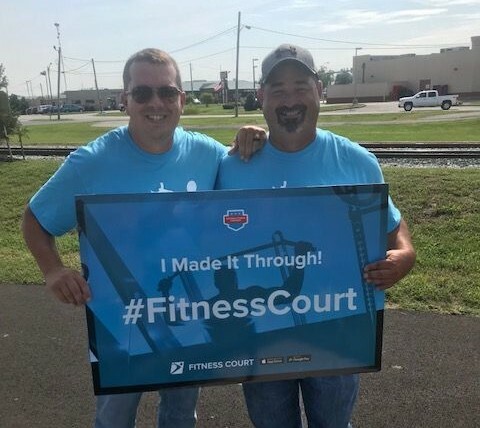 By identifying and engaging local businesses of all sizes to support this program, the Fitness Court is now a reality! 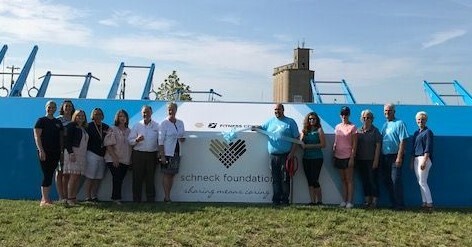 Thanks to the generosity of Scheels Sporting Goods, Viking Coca-Cola Bottling Company, Martin Marietta and other community donors, free world-class fitness is on the map in Minnesota. The Waite Park Fitness Court is featured in Rivers Edge Park, the city’s beautiful 42-acre open space located steps away from the Sauk River. The park is treasured by the community, and provides several family-friendly activities for all such as a splash pad, hockey rink, baseball diamonds, batting cages, children’s play areas and river fishing. 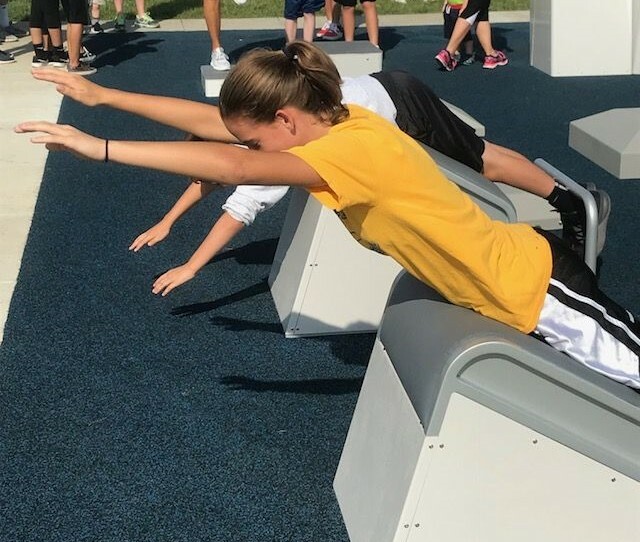 By launching their Fitness Court in this highly active community hub, adults of all ages now have access to a progressive, accessible outdoor workout at no cost — and it’s time to use it! The Seymour Schneck Foundation Fitness Court is NOW OPEN! 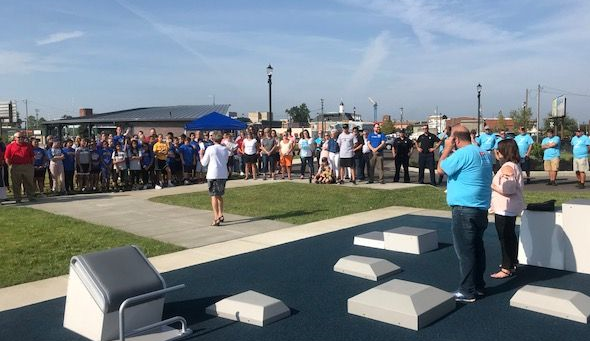 Downtown Seymour’s beautiful new Crossroads Park is the latest Indiana home of the Fitness Court! Now residents can enjoy the “small towns, historic tracks” heart of the community, while getting a best-in-class outdoor exercise experience. With a rich history and a modern, unique town charm, the City of Seymour really does offer something for everyone! 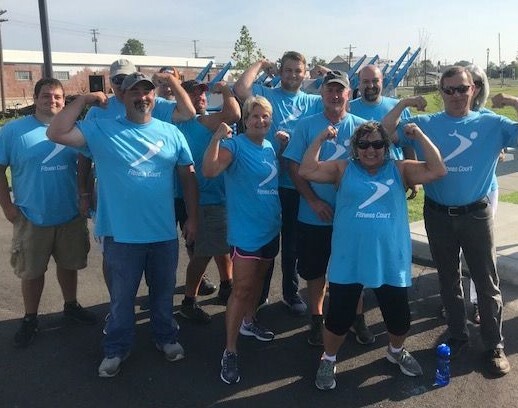 Fitness is a priority in Seymour, and the project came to life thanks to the hard work of dedicated city staff and the generosity of community sponsors. Championed by Park Director Bob Tabeling, this project attracted the partnership of the Schneck Hospital Foundation, Seymour Rotary Club and Healthy Jackson County — working together to make the healthy choice an easy choice in their city. For outdoor recreation, Crossroads Park is the community’s newest favorite family-friendly destination. This hub for healthy living is a perfect home for the world’s best outdoor gym! THANK YOU SEYMOUR FOR PUTTING FREE FITNESS ON THE MAP!